Harry Shum Jr. Joined a Dance Team on a Dare. These Days, He Isn't Staying Still. 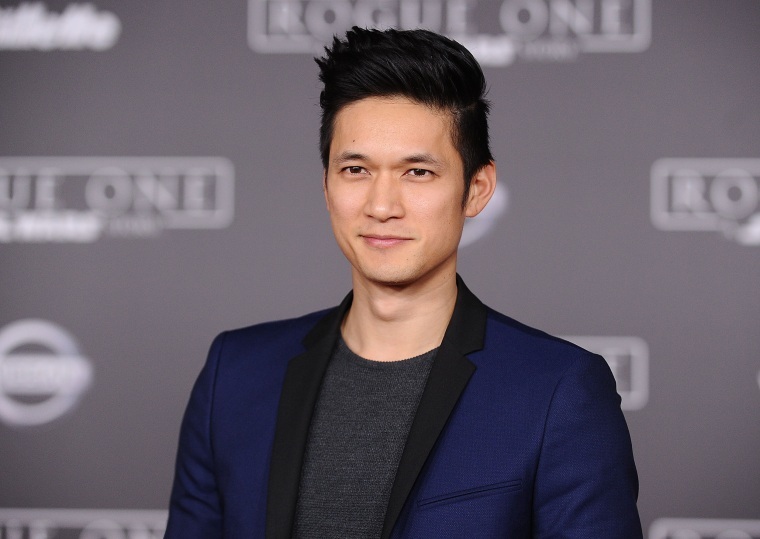 His character on “Glee” has been referred to as “the other Asian” in more than one episode and given minimal screen time throughout the show, but Harry Shum Jr.’s life couldn’t be more of a contrast. "The arts kept me out of trouble and allowed me to expand my mind. I know how crucial it is to have those options growing up, which is why I stress the need for more public funding for the arts in all schools." Born in Costa Rica to a mother from Hong Kong and a father from Guangzhou, China, and raised in the small town of Arroyo Grande, California, Shum discovered his passion for dancing in high school when he joined the dance team on a dare. He began his professional career as a backup dancer on tours for major stars including Beyoncé, Jennifer Lopez, and Mariah Carey, and eventually went on to appear in popular dance movies like “Stomp the Yard” and the “Step Up” franchise before taking on more acting roles. Shum spoke with NBC Asian America about growing up in Costa Rica, advocating for the arts in schools, and the importance of representation in Hollywood — not just in acting, but also in the writers’ room and director’s chair. If you had to drop everything right now to be a backup dancer again, which celebrity would you want to accompany on tour? Aerosmith. I’ve toured with a lot of major pop stars, so I think it’d be interesting to see up-close what the rockers do. I would love to just jam to their music on stage and find interesting, new ways to dance to it. How has your multicultural upbringing affected your life and identity today? "Representation needs to properly be displayed in all departments of Hollywood, like in the writers’ room. So as much as I want to fight for the actors, I think it’s about more than just us." To be honest, it’s only just now that I’ve started to understand how beneficial it was to grow up in a household of mixed cultural identities. I think learning about the beauty of cultures at young age has allowed me to find the beauty of cultures I don’t know about now. And as an actor, my background has helped me to be able to easily adopt different perspectives, so I’m always silently thanking my parents for randomly moving to Costa Rica. I’m still very much tied to that country — I was married there, I still cook Latin Chinese fusion, and I love their attitude towards life. The term “pura vida” is used a lot there, which translates to “pure life,” and that’s as good as it gets. Were there any specific dancers that inspired you and helped usher in this dance-focused part of your life? Hip-hop and R&B music videos were my biggest influence when I was a teenager, and what’s funny is that through them, I was introduced to the old Hollywood performers. I watched a lot of Missy Elliott, Usher, and Ginuwine music videos, then eventually I was just watching movies with Fred Astaire and Gene Kelly. “Singin’ in the Rain” is hands-down the best musical I’ve seen, but I also love “Cover Girl,” which I think is pretty underrated. What’s your take on Asian-American representation in Hollywood, as someone who’s spent time in the industry? I’ve noticed through social media that many people are concerned with hiring more actors of color, but I think putting people behind the cameras is just as important as putting people on the screen. From my personal experience, not many writers and producers want to maliciously harm a community — they’re just working with what they know. That’s how a lot of issues arise. Representation needs to properly be displayed in all departments of Hollywood, like in the writers’ room. So as much as I want to fight for the actors, I think it’s about more than just us. We’re only one small player in the game. In addition to advocating for representation, you’ve also used your platform to promote the performing arts for the White House Initiative on Asian Americans and Pacific Islanders. Yeah, and I can’t express how important it is to expose younger people to the arts. I was really lucky to have that when I was in elementary school; it was something I just stumbled upon, so I wouldn’t have got involved if my school didn’t have those programs. The arts kept me out of trouble and allowed me to expand my mind. I know how crucial it is to have those options growing up, which is why I stress the need for more public funding for the arts in all schools. You’re currently a regular on “Shadowhunters” as Magnus Bane, a character that was played by Godfrey Gao in the film version of “The Mortal Instruments” series. Have you two bonded over your shared role together? We actually have. He came to the premiere of “Crouching Tiger, Hidden Dragon” and I met him briefly. We kind of stood around talking about Magnus Bane and how fun it is to play him. We have different approaches to the character, mostly because film and TV are pretty diverse mediums, but it was cool that I could share this understanding of my character with someone else.